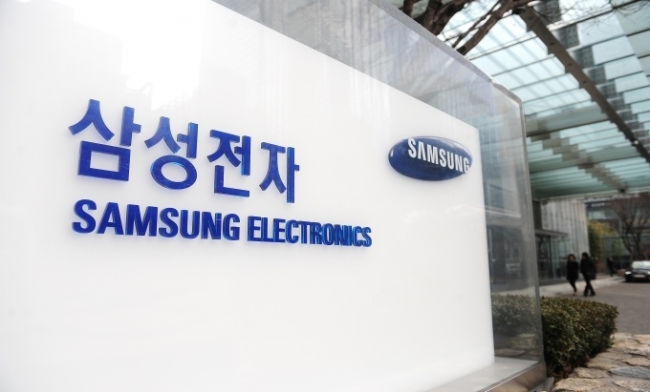 [THE INVESTOR] Tech giant Samsung Electronics gave what seems to be a positive response to hedge fund Elliott Management’s latest request to separate itself into two units. “Elliott is one of Samsung Electronics’ shareholders, and we will carefully consider a shareholder’s request,” a company official said. Although Samsung did not clarify whether it would accept the demand and proceed with the split-off scheme, its answer to the activist hedge fund is thought to be a pretty mild response. Elliott’s affiliates -- Blake Capital and Potter Capital -- requested in a letter on Oct. 5 that the tech firm make business restructuring efforts by splitting into two -- holding and operating companies. The two Elliott subsidiaries also demanded that the two companies be listed on a US exchange, such as NASDAQ, and to pay out dividends of 30 trillion won ($27 billion). Elliott’s past aggressive moves against Samsung Group affiliates include its attempt to block the merger between construction firm Samsung C&T and Cheil Industries. It was opposing to the merger plan at the time, claiming the merger undervalued C&T, but it lost the vote.